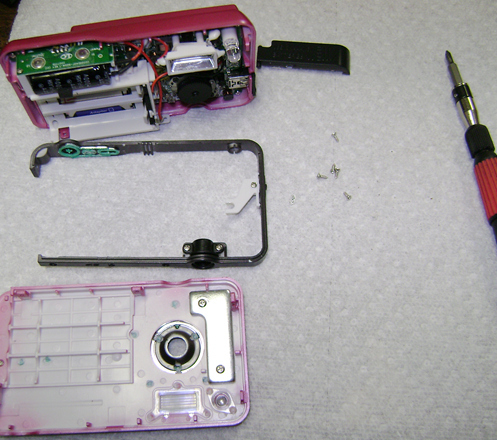 Begin taking the camera apart by removing five (5) exterior tiny screws. One screw is hidden under the miniUSB cover. Gently pry apart and remove the front face. Then remove the black external band. Unscrew the interior five (5) screws holding the pcb board to the case. One screw is hidden under the capacitor. Then gently pull sideways and up to remove the USB port from the plastic camera case. The LCD screen can be removed if you wish. 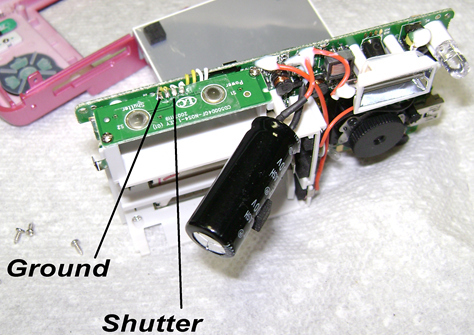 You will need to solder two small wires, one from the ground pin and the second from the shutter firing pin. You can solder from the smaller top pcb or on the back of the main pcb. The smaller (top) pcb has two screws which can be removed to release the entire top pcb for easier access. 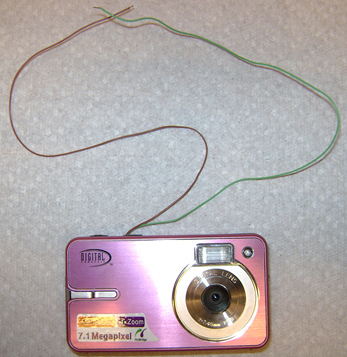 Finished Camera Mod: After soldering the wires inside the camera, I used an exacto knife to cut a small access hole in to the top of the camera for these two control wires. 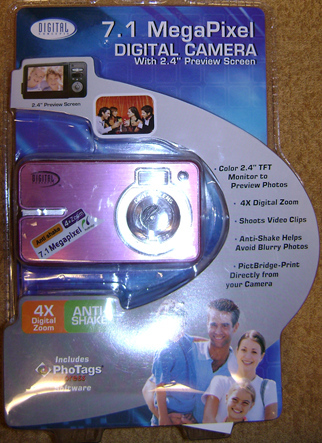 You can then reassemble the camera. 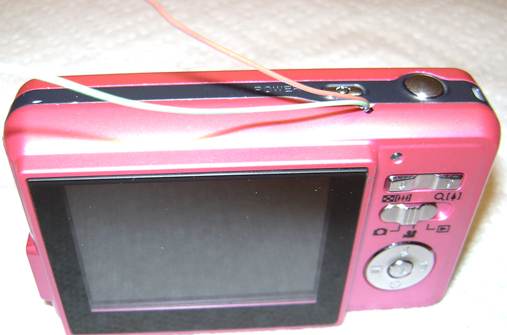 Finished Camera Mod: Soldering the two wires leaves all the original camera controls functional. You simply need to short the ground (brown) and the shutter firing wire (green) to take a picture. Next Step: Using a Basic Stamp to remote fire the camera and/or using a Basic Stamp to initiate a time sequence for firing the camera.